CRUSHED COTTON: Cotton was just one of the many victims of the hurricane’s fury. Blown over in the heavy winds, many cotton bolls were unable to be repaired or replaced. US Secretary of Agriculture Sonny Perdue reminded farmers after Hurricane Michael passed about USDA programs to help farmers with disaster recovery. 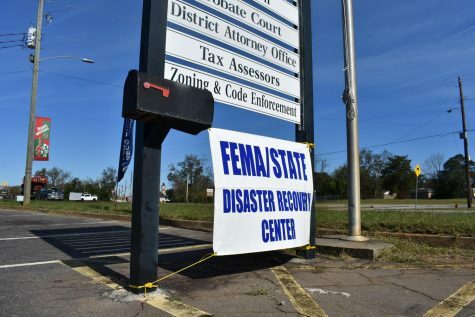 Hurricane Michael is a distant memory in many minds, but for communities across southwest Georgia, the memory is a vivid one. On Oct. 10, 2018, Hurricane Michael hit southwest Georgia as a Category 3 storm. Though the hurricane’s strength decreased as it moved north , the forces were strong enough to leave a lasting mark on the homes and families in the path of the storm. The town of Dawson, GA, just three hours south of Atlanta, was one of the towns torn apart by the storm. 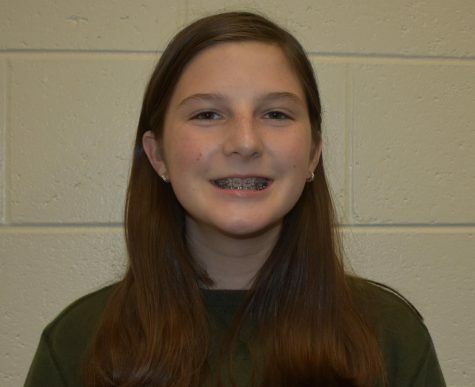 Teenager Molly Bell of Dawson, GA was one of these victims. Even after the storm had passed, the damage it caused was long lasting. The agriculture industry alone took a hard hit, with an estimated $2 billion in agricultural damage. 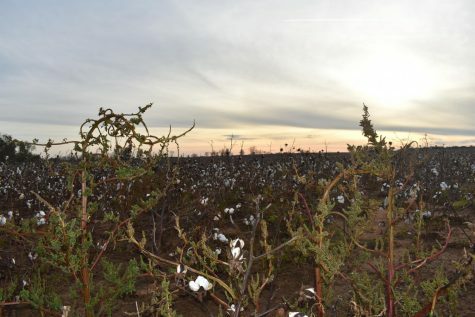 The hurricane affected cotton and pecan farmers the most. Fifteen-year-old Ty Cannon, also of Dawson, GA sees these effects on his family’s cotton crop. 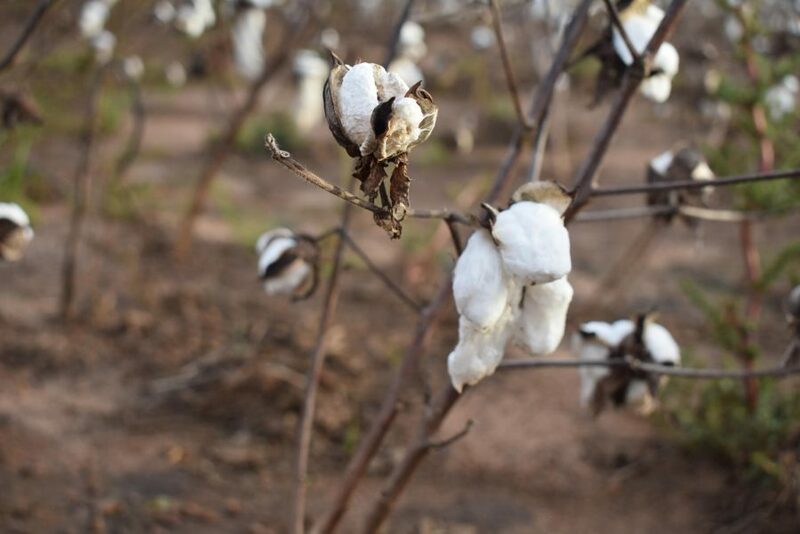 They went from producing over 1,000 pounds of cotton an acre to only 800 pounds. However, other crops took a were worse off. Despite the hardship that many felt, there was good to come out of this. According to Bell, there was a “very strong sense of community” in the days after the storm. Despite the relief efforts, the road to recovery will be a long one. 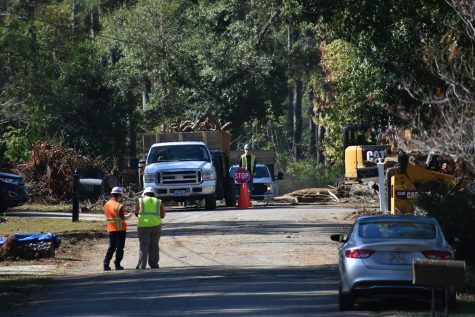 “Even a month later, I am still seeing a lot of trees down, debris, and houses attempting to be repaired,” Bell said. 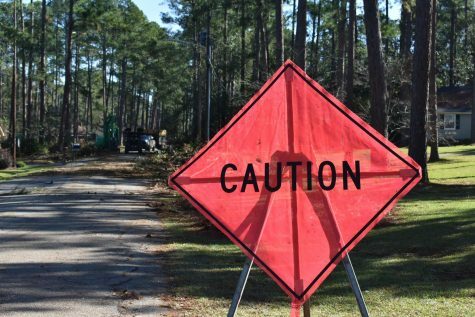 AN AIR OF CAUTION: A caution sign stands in front of FEMA crews cleaning up debris. Roads are blocked due to the amount of limbs and fallen trees the crew has to remove and break down. BEYOND REPAIR While some homes are able to be restored, others were damaged beyond repair. 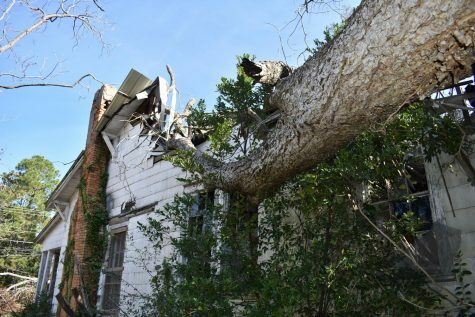 This abandoned home suffered damage from three trees. FIELDS OF DEVASTATION: A damaged cotton field casts shadows in the setting sun. Out of an estimated $1.3 billion in agricultural damage in the Southeast, $1.2 billion in damage is in Georgia alone. 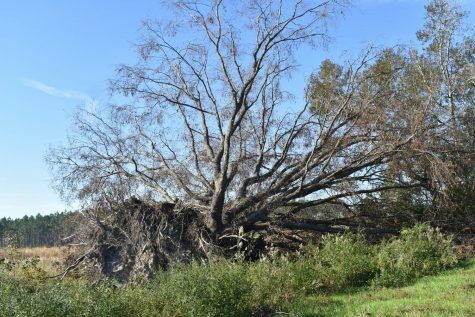 TREE TROUBLE: A large tree was blown over in the 110 mph winds. Hurricane Michael was the strongest hurricane to hit Georgia since the 1898 Georgia Hurricane.